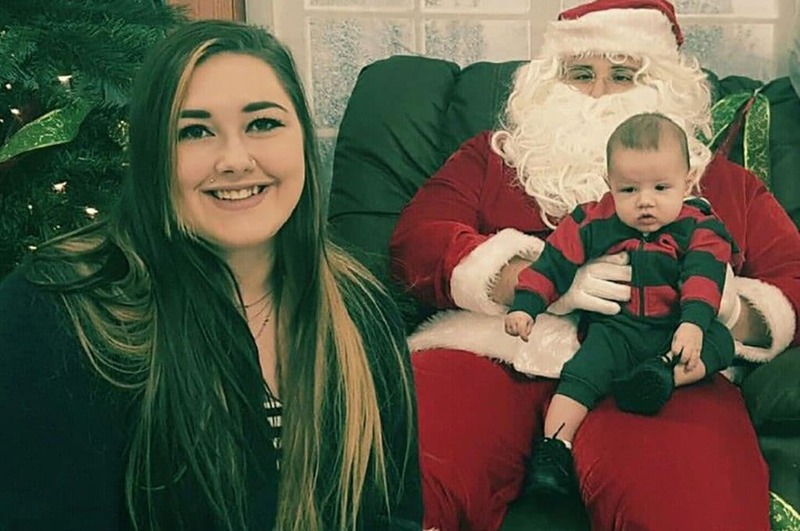 Pictured Mackenzy Trievel whose two year old son, Qadan died at the hands of her estranged boyfriend and the child's father, Christopher Kuhn. Pictured Mackenzy Trievel whose two year old son, Qadan died at the hands of her estranged boyfriend and the child’s father, Christopher Kuhn. Mackenzy Trievel, the NJ mother of a two year old boy killed at the reckless hands of the child’s father and estranged boyfriend speaks out. Trievel who was involved with Qadan’s father, Christopher Kuhn for a number of years told of her estranged boyfriend abusing her for years. Instead of getting to pick up her son, police notified Trievel, telling her how earlier in the day her boyfriend had fled with speaker merchandize from a Walmart in Levittown, Pa., only to clip a car and flip after running red lights. At the time, the couple’s son had been traveling with his father. Rather than staying with his son, police told of the shameless father abandoning his severely injured son and fleeing. Kuhn would be caught by pursuing officers. Witnesses described Kuhn taking one look at his son sprawled on the asphalt after being ejected from the car, before running off, leaving him to die alone. Mackenzy Trievel failed by the courts: there had been warnings. Despite Kuhn having been previously arrested for abusing Trievel, the mother failed in her bid to petition to get sole custody of their son. She wrote the courts never mandated that Kuhn ‘get help’ and gave him custody of the child three days a week. ‘He saved my life and I wish I could have saved his I would give anything to hold him again. He was the light to my life and [I’ll] never forget all the laughs and smiles we shared,’ the heartbroken mom wrote on Facebook. Prior to Tuesday’s crash, Kuhn had been arrested for credit card fraud, which led to the father losing his job as a substitute teacher in New Jersey. Kuhn has been charged with third-degree murder, homicide by vehicle and a slew of other related crimes. He’s being held on $5 million bail.